Benner-Nawman, Inc. and BN Products-USA, LLC. Gus Benner and Rollie Nawman formed a partnership and founded the company in 1925 as a sheet metal fabricator in Oakland, California. Benner-Nawman became a corporation in 1946. In 1950, the Pacific Bell Telephone and Telegraph Company of San Francisco, California asked Benner-Nawman to design and fabricate a phone booth made from aluminum, glass and steel. From 1950 to 1999, the company’s primary business was the fabrication and assembly of public telephone booths and accessories, selling hundreds of thousands of units in the United States and into over 40 countries worldwide. In 1976, Benner-Nawman created a separate distribution group for selling low-voltage termination cabinets, enclosures and hand tools to the electrical market and power tools and related equipment to the construction market. In 2010, the Benner-Nawman split into two separate companies. Benner-Nawman, Inc. (on the Web: www.benner-nawman.com) retained all products related to the electrical wholesale market while the new company, BN Products – USA, LLC. (www.bnproducts.com) handles all sales on products related to the construction wholesale market. Today, both companies enjoy partnerships with several domestic and global organizations helping them in the supply and development of products for the North American market. Currently, BN Products-USA, LLC. uses a network of construction product manufacturer representative companies plus our corporate team to promote our products across the United States, Canada, Central America and the Caribbean. Each representative company is located in the region they represent. Some of our professional manufacturer representatives also stock our products at their regional warehouse for faster delivery. 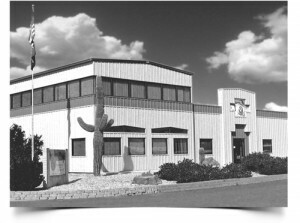 Our corporate offices and warehouse facilities are located in a 56,000 square foot location on seven acres of land in the Industrial Air Park of Wickenburg, Arizona. There is ample room within the facility for maintaining product inventory plus there are several acres of land for further development. National trucking companies, FEDEX, DHL and UPS deliver and accept shipments on a daily basis. We will be passionate about supplying the best product lines, supporting our distribution channels, and providing superior customer service. We will represent innovative quality products and marketing concepts that exceed our customer’s expectations while anticipating their needs for tomorrow. We strive to be a trustworthy company based on strong values and to be the leader in our markets by placing the customer first. Benner-Nawman holds the relationships with its customers, suppliers, employees, shareholders and community in the highest regard and will provide for a secure future with growth opportunities.